Stryder sent me a YouTube link to a music video called "Across the Universe", with Joe Cocker singing "Come Together". It's directed by Julie Taymor, who is also known as costume director for the Broadway musical, "The Lion King." Taymor has won two Tonys out of four nominations, and an Emmy, so she's definitely a force to be reckoned with. "Across the Universe" is also a movie, directed by Taymor. It is the story of a group of friends finding their way through the minefield that was the 1960's. Love, war, activism. All set to a Beatles soundtrack. Could be worse. In addition, Stryder said the movie was excellent. As did the person who posted the comment on the imdb site. My sense is that the movie is not for everyone, but that it will rock those who lived through the period. I just added it to my Netflix queue, and moved it to the top. At the rate I'm going through movies, it would probably be a year before I got to it, otherwise. Meanwhile, get your fix watching this great video. No time to say "hello", goodbye! I run and then I hop, hop, hop! Can't even stop to say "goodbye"
I'm late, I'm late, I'm late. I've got a date with Alice. I can't be late for Alice. 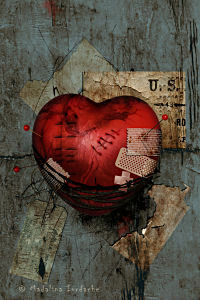 Or the Queen of Hearts who lives up in the palace. 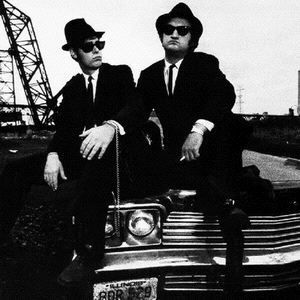 I'm running late, and when I am, this song frequently pops into my head. Those who know me might surmise that this song is therefore on a constant feed loop through my head. You might be right. Which could explain a lot. I also frequently feel as if I've gone down the rabbit hole with Alice, but that's another issue entirely. 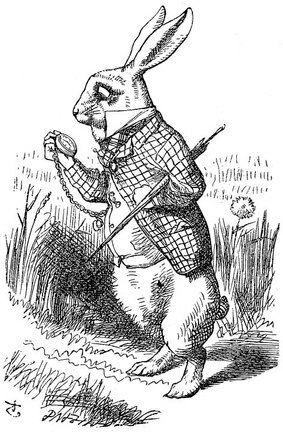 The White Rabbit from Alice's Adventures in Wonderland sings this song as he looks at his pocket watch. My brothers and I heard it a lot growing up. My Dad had made a few reel-to-reel tapes of songs for us, and they were pretty much always playing. This song, sung by the late Danny Kaye was on one of them. It's from the Disney movie "Alice in Wonderland." By the way, did you know that Lewis Carroll's real name was the Reverend Charles Dodgson? At least in country music. Dee Ray sent me this list of a dozen song titles. I thought they were amusing, then realized they were REAL! Now that's amusing. For a real comprehensive list, go to Pete Levin's Wacky (but hip) Actual C&W Song Titles. I mentioned recently that I've been playing a new CD called The Swell Season by Glen Hansard and Marketa Irglova. 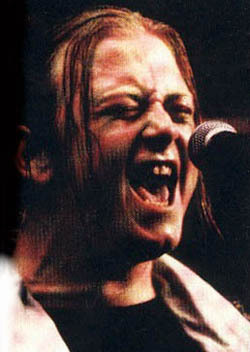 Hansard starred in a popular 1991 film, The Commitments, about a group of mostly unemployed Irish youth who form a band to bring soul to Dublin. "They had absolutely nothing, but they were willing to risk it all." Cheeky, rude and raw, the movie chronicles Jimmy Rabitte's (Robert Arkins) efforts to gather a group, then get them to make beautiful music together. By the time he's done recruiting, the band has a saxaphone and trumpet, drums, guitar (Hansard), a singer and three beautiful backup singers. The characters play off one another, making love and war and music together. The most loutish, boorish, unredeemable character of the bunch, Deco (Andrew Strong), has the pipes of an angel. At least an angel of soul music: raspy, raw, gravelly emotional. The chicks love him. At least the chicks who don't personally know him. The ones who do, the three backup singers with the band, all loathe him. But they all love Johnny Murphy, the older seasoned musician who has played with some of the great singers of soul. Given that setup, a bit of tension is sure to ensue. The band starts slowly, has trouble collecting its fees and paying its bills, but slowly builds a following. The movie is chock-full of great music, funny dialogue, heart, and, of course, soul. I just read that Andrew Strong was 16 when they filmed The Commitments. He was born at the end of 1973, and the movie came out in 1991, so I guess it could be. Amazing, really. Link here to hear Mustang Sally by Andrew Strong as Deco Cuffe, and The Commitments on YouTube. See if you think he looks 16, there or on the picture above. I've read nothing but wonderful things about the movie, Once. Unfortunately, the only place it played in this burg is at a theater in a mall that I always get lost (always!) trying to get out of. It is at the crossroads of two major boulevards, and the twists you have to take to get on the road back to my house always baffle me. So I'll have to wait to get it on Netflix. Which means I have to watch the two movies I've had here collecting dust for weeks. My fault, not theirs. Anyway, even though I haven't seen the movie, I have some of the music, which is haunting and beautiful. What I have is "The Swell Season", under which name the stars of the movie, Irish musician Glen Hansard (of The Frames) and Czech musician Marketa Irglova play and sing together. Many of the songs on the album later were in the movie. As wonderful as all the music is, I keep hitting the repeat button on one: "Cry Me a River". Not the Julie London version, which was featured in V for Vendetta, but the one written by Justin Timberlake, supposedly about his breakup with Britney Spears. The strange thing is that on my CD, the fourth cut is "Cry Me a River", but the label says "Drown Out", which is a whole different number. I'm confused. But here's "Cry Me a River" by Hansard and Irglova, which I think is much better than Timberlake's. Hope you took the time to listen to all the YouTube links and finally the song. He was larger than life in so many ways, a huge man who was always battling his weight, a big booming voice that could fill the Met, and a life filled with drama. He died thursday of pancreatic cancer. Yesterday was his funeral. The news was full of it. "The Greatest Tenor of His Generation." But even as that claim was made, there was discussion of whether he had compromised his classical music base by doing concerts with rock stars. Okay, Bono, I can see, even James Brown, but The Spice Girls? His signature tune, Nessun Dorma from Puccini's Turandot was played as his coffin left the cathedral. More than 100,000 people (I've seen numbers ranging from 20,000 to 100,000...I went with the higher) were at his funeral in his hometown of Modena, including such diverse personalities as Franco Zeffirelli, Bono, Kofi Annan, and Andrea Bocelli (no Spice Girls? ), not to mention his first wife, Adua Veroni and his second wife, 37-year-old Nicoletta Mantovani whom he left his wife for in 1996 and married in 2003. His personal life might have been a mess, and he often looked like a large, unmade bed. He may have cancelled too many performances, but he had a large heart and a larger voice, and when he opened his mouth in song, the world listened. He was one of the very successful Three Tenors, with the fabulous Placido Domingo and Jose Carreras, which has spawned a spate of other classical trios. 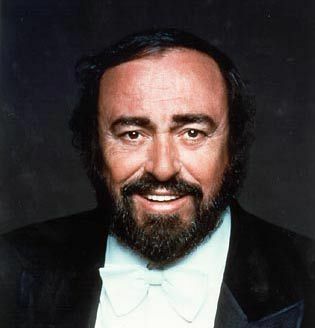 For all of that, I don't mean to dis Mr. Pavarotti. When he sings "Nessun Dorma", my heart races. I heard him sing "Vesti la Giubba" from Pagaliacci by Leoncavallo, and tears ran down my face. This is the aria where Canio, who knows his wife is cheating on him, must still don his makeup and clown garb and go on stage, for the show must go on. A wonderful voice has been stilled. LC sent us these "Rules for the Blues." I think they're great. I like listening to the blues, and have done a few posts about this genre. In fact, reading this had me humming "Saint James Infirmary" for the rest of the afternoon. Despite the title of this post, the truth is, by these rules, I not only don't have the right to sing the blues; I should probably be slapped for my impertinence. Or maybe, we each, in our own way, has the right to sing the blues, but not if you follow the rules. Which is as it should be. You decide. Here are the rules. 1. Most Blues begin with "Woke up this morning." 2. "I got a good woman" is a bad way to beging the Blues unless you stick something nasty in the next line, like "I got a good woman with the meanest face in town." 3. The Blues is simple. After you get the first line right, repeat it. Then find something that rhymes, sort of. "Got a good woman with the meanest face in town. Yes, I got a good woman with the meanest face in town. Got teeth like Margaret Thatcher and she weigh 500 pound." 4. The Blues is not about choice. You stuck in a ditch, You stuck in a ditch. There ain't no way out. 5. Blues cars: Chevys, Fords, Cadillaces and broken-down trucks. Blues don't travel in Volvos, BMWs, or SUVs. Most blues transportaion is a Greyhound bus or a southbound train. Jet aircraft and state-sponsored motor pools ain't even in the running. Walkin' plays a major part in the blues lifestyle. So does fixin' to die. 7. Blues can take place in New York City, but not in Hawaii or anyplace in Canada. Hard times in Minneapolis or Seattle is probaboly just clinical depression. Chicago, St. Louis and Kansas City are still great places to have the Blues. You cannot have the blues anyplace that does nto get rain. 8. A man with male pattern baldness ain't the Blues. A woman with male pattern baldness is. Breaking your leg 'cause you were skiing is not the Blues. Breaking your leg 'cause an alligator be chomping on it is. 9. You cannot have the Blues in an office or a shopping mall. The lighting is wrong. Go out to the parking lot or sit by the dumpster. 10. Good places to have the Blues: highway, jailhouse, empty bed, bottom of a whiskey glass. 11. Bad places for the Blues: Nordstrom's or Macy's, gallery openings, Ivy League colleges, golf courses. 12. No one will believe it's the Blues if you wear a suit, unless you happen to be old and black, and you've obviously slept in the damned thing. a. You are older than dirt. a. You have most of your teeth. b. You were once blind but now you can see. c. The man in Memphis lived. d. You have a 401K or trust fund. 14. Blues is not a matter of color. It is a matter of bad luck. Tiger Woods cannot sing the blues. Sonny Liston could. Ugly white people have a leg up on the blues. 15. If you ask for water and your darlin' gives you gasoline, it's the Blues. Other acceptable Blues beverages are: cheap wine, whiskey or bourbon, muddy water, nasty black coffee. The following are not Blues beverages: Perrier, Chardonnay, Snapple, Slim Fast. 16. If death occurs in a cheap motel or a shotgun shack, it's a Blues death. Stabbed in the back by a jealous lover is another way to die. So are the electric chair, substance abuse, and dying lonely on a broken-down cot. You can't have a Blues death if you die during a tennis match or while getting liposuction. 17. Some blues names for women: Sadie, Bessie, Big Mama, Fat River Dumpling. 18. Some Blues names of men: Joe, Willie, Little Willie, Big Willie. 19. Persons with names like Amber, Jennifer, Tiffany, Debbie and Heather can't sing the blues, no matter how many men they shot in Memphis. Examples: Blind Lime Jefferson, Jackleg Lemon Johnson. 21. No matter how tragic your life, ifyou own a computer, you cannot sing the Blues. Sunday, I listened to Puccini's Turandot by the Houston Grand Opera on NPR. I wanted to find out how tenor Vladimir Galouzine fared with the famous aria "Nessun Dorma". This powerful song is Luciano Pavarotti's signature aria, so if you've ever heard a Three Tenors concert, you've heard him sing this. I guess Turandot is a love story of sorts. You'll have to decide for yourself. The aria is the only thing, aside from the bloody plot, that stands out in Turandot, at least for me. There are a lot of arias, and soprano Jennifer Wilson as Turandot has a lovely voice, but this opera means Nessun Dorma to me. The plot is strictly fable and fairy tale, but throughout, the thought runs through my head "why would anyone want the monster that is Turandot?" Well, because she's breathtakingly beautiful, that's why, nevermind that she's also breathtakingly cruel. The setting is long-ago China. Turandot is the lovely princess whose hand is sought by many. In order to avoid having to get married, she insists that her suitors answer three questions, or forfeit their lives. In the beginning of the opera, the Prince of Persia is about to lose his head. He bears himself with such dignity that the crowd begs Turandot to spare him. She contemptuously ignores them and has him beheaded. Turandot's hands may be bloodstained, but at least it's a good bet she's still a virgin. This should serve as a warning to young Calaf, a Tartar prince-in-disguise who is watching from the crowd. As the crowd shuffles, a man is almost trampled, and Calaf goes to his aid, only to discover that that man is his long lost father, attended by the slave girl, Liu, who is secretly in love with Calaf. Got that? Good. It gets better. Despite the evidence that Turandot has the heart and morals of a female praying mantis, Calaf rings the gong that proclaims him her next suitor. "What is born each night and dies at dawn?" "Hope," he answers. "What flickers red and warm like a flame, yet is not fire?" "Blood," he answers. "What is like ice, yet burns?" Turandot does not know what to make of this. None of her hundreds of suitors has answered the questions correctly, and she does not have the presence of mind to pretend that he missed any of them. She turns to Daddy to get her out of this pickle, but Calaf intercedes to help her. He says that if she can guess his name by daybreak, he will not only not hold her to her pledge, but will sacrifice his own life. This is the loophole she has been looking for. Turandot keeps all of Beijing up all night (on pain of death, of course)until she finds the name of her suitor. At this point, Calaf sings Nessun Dorma (noone sleeps). In addition, she has the only people who were seen with Calaf, his father and the slave Liu, tortured. Liu steps forward and says that only she knows the stranger's identy, and is subjected to unspeakable torture. When Turandot asks the secret of her unshakable strength, she answers "love". Finally, afraid that Calaf will step forward to save her (not likely...he stood by for a lot up to that point), she grabs a dagger and kills herself. Somehow, Calaf and Turandot are left alone, and he forces her to kiss him, melting her cold, cold heart. Feeling the power of love for the first time, she becomes his, and when she addresses the crowd to announce his name, she tells them that it is "Love." Tenor Vladimir Galouzine has a wonderful voice, but for me, no one compares with Luciano Pavarotti in Nessun Dorma. Unfortunately, his career in on hiatus, probably permanently. He was diagnosed with pancreatic cancer in 2006, and his energy will probably all go to fighting a villain greater than any he ever encountered in his operatic career. Hopefully when it's over, he can still sing "Vincero!" This was on The Writer's Almanac earlier this week. It is actually a song by Lorenz Hart, with music by Richard Rodgers for the 1937 musical Babes in Arms. Frank Sinatra sang it in 1957. He sang a number of other songs from this musical. Though largely unknown, this show packed a number of great musical numbers: "Where or When," "My Funny Valentine," and "The Lady is a Tramp," among others, many popularized by Sinatra. I would rather be gaga! The faint aroma of performing seals. But I'd rather be punch-drunk! The classic battle-of a him and her. I listened (again) to The Crane Wife by The Decemberists while I was cooking for Easter. As so often happens with this CD, one song has stuck in my head ever since: O Valencia! I think it's much more powerful with the music, so please listen for the full effect. The pain is palpable. The music is haunting too. The phenomenon of passing on a song that is stuck in your head is jukebox sabotage, according to Urban Dictionary. Hopefully, I am thus passing this song on to you, reader, and out of my head. For a while, at least.